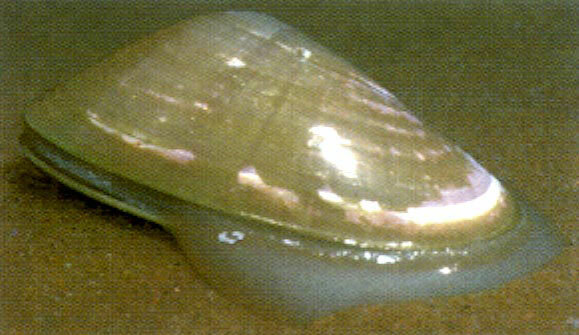 Cockles, Pipis (pictured) and Mussels are all bivalve molluscs. Mussels are attached to the rocks by special threads which stick out through the shell. Cockles and Pipis are free-living in sandy and muddy areas. Although numerous mollusc species are present in sandy and muddy areas in NSW, people are probably most familiar with the sand dwelling Pipi. The Pipi burrows into the sand using a muscular foot to pull itself beneath the surface.